Cunning South Florida real estate investors are buying titles to homes on the cheap through community association foreclosures then renting them out until the bank catches up. It’s the latest tactic aimed at capitalizing on South Florida’s quagmire of vacant and foreclosed homes. And since banks — the primary lien holder on the homes — sometimes take years to foreclose, the strategy could offer the investor a hefty return. Homeowner association foreclosures are usually based on unpaid dues, with judgments far less than what is owed on the mortgage. A savvy investor can pick up a home for a few thousand dollars from an association foreclosure auction and make that money back in several months’ worth of rent. But while the method pays starving homeowners associations their back dues and puts money in the investor’s pocket, unwitting tenants may get a surprise when a lender comes calling to repossess the home. That’s what Daniel Torres said happened to his elderly parents after renting a home in the Covered Bridge community west of Lake Worth. It was bought for $10,800 in April by a West Palm Beach-based firm after the community association foreclosed on it for unpaid dues. The unit in the quiet neighborhood was not yet in bank foreclosure, although the previous owner had died two years earlier and the last mortgage payment was made in October 2010, according to court records. The Torreses moved into the home in August. Chase filed foreclosure papers in November against the heirs to the previous owner’s estate. A property management company was soon knocking on the Torres’ door saying they needed to leave because the house was in foreclosure and the locks were being changed. Dennis Sickle, principal of the home’s title owner, Milan Investments Inc., said the company does not tell tenants the property was purchased subject to a bank mortgage because they are shielded from a bank eviction by the federal Protecting Tenants at Foreclosure Act of 2009. The act says the bank must honor the terms of a lease unless the property is sold to someone who will occupy it as a primary residence. In that case, they must be given a 90-day notice to leave. There is no legal obligation to explain the situation to a tenant, said Fort Lauderdale-based attorney Donna DiMaggio Berger, who specializes in community association law and is executive director of the Community Advocacy Network. “That being said, it is prudent for the landlord to make that disclosure and prudent for a tenant to ask if any such situation exists prior to signing the lease,” she said. In the past year, South Florida has witnessed myriad approaches from would-be real estate wheeler-dealers to cash in on the foreclosure morass. 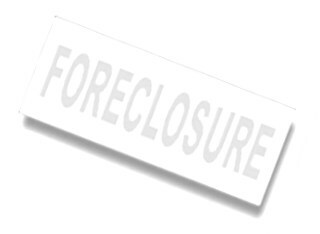 Attorneys who specialize in real estate law say the method of buying title to homes out of a community association foreclosure and renting them out until a bank takes final possession is both a legal and sound business model that can turn a profit. Delray Beach-based attorney David Kupperman said he has a client who collected rent for several years on a home bought through an association foreclosure before the lender got around to repossessing it. His client even takes it a step further by trying to negotiate with the bank to purchase the home for slightly above what the bank could expect to get at the foreclosure auction. The idea is that the bank doesn’t have to spend more money in court fees and gets above what it would at a traditional foreclosure sale. It can still be a gamble. Such factors as repair costs and unknown liens could cut into a profit margin. Sickle’s company picked up its buying pace in April and now holds title to about 20 Palm Beach County properties, according to the property appraiser. A 2,900-square-foot home west of Lake Worth in the Villaggio Villages of Windsor community was in a Bank of America foreclosure when Sickle bought it from a community association foreclosure auction for $14,900 in April. The home was previously purchased for $454,260 in September 2005. Sickle’s company filed to intervene in the Bank of America foreclosure and was able to get a November foreclosure sale canceled, according to court records. But Bank of America, saying it was not told of the cancellation hearing, got the sale rescheduled for Tuesday. In the Torres case, the association didn’t get paid and put a lien on the home in November for $2,924. The Torreses soon got a letter, which they showed to The Post, demanding they send their rent checks directly to the association or face a termination of their rental agreement. The move, which bypasses the landlord, is something allowed in law. “They don’t need this kind of stress and uncertainty,” said the couple’s son, Daniel Torres, who is involved in a separate fight with the landlord to let his mother keep her Chihuahua. Daniel Torres said he feels he should have been told the home was purchased subject to a bank mortgage. He found the condominium on Craigslist and dealt with Realtor Adriann Dorbuck, who represented him in the transaction. Dorbuck said she didn’t know that it was an association foreclosure purchase either.